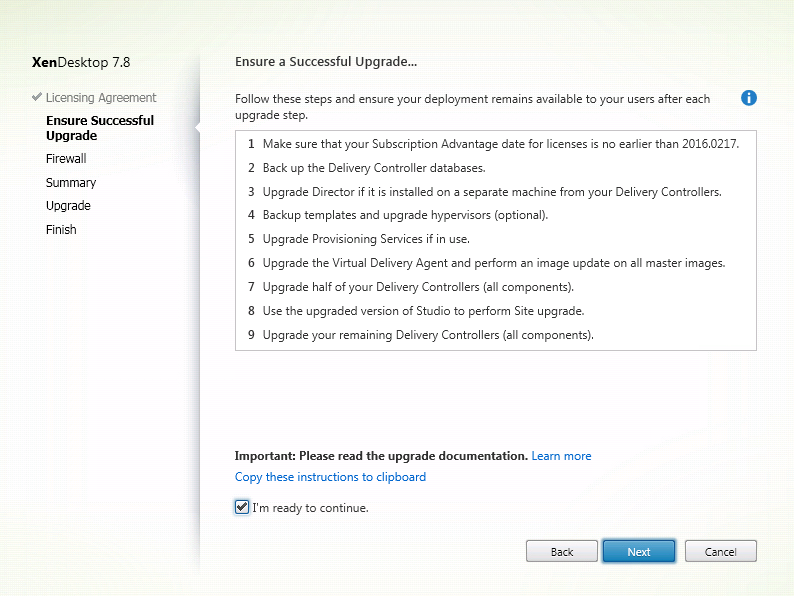 Upgrading XenDesktop 7.7 Site and Delivery Controllers to 7.8. 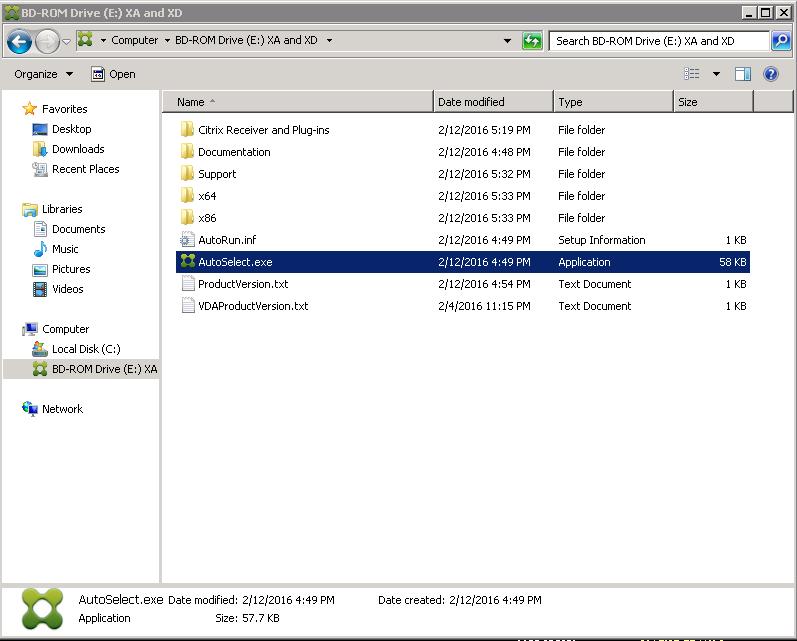 Download Citrix XenDesktop 7.8 ISO and launch AutoSelect.exe. 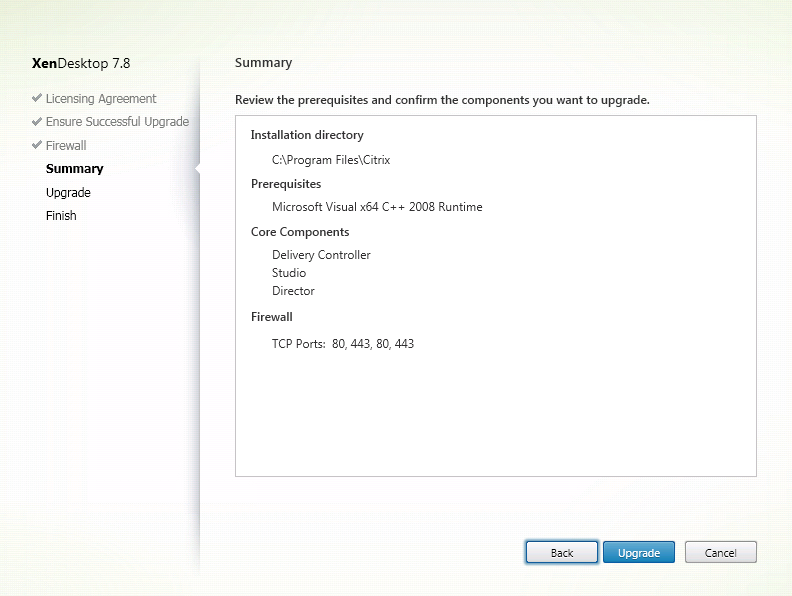 Click on Upgrade “Studio and Server Components”. 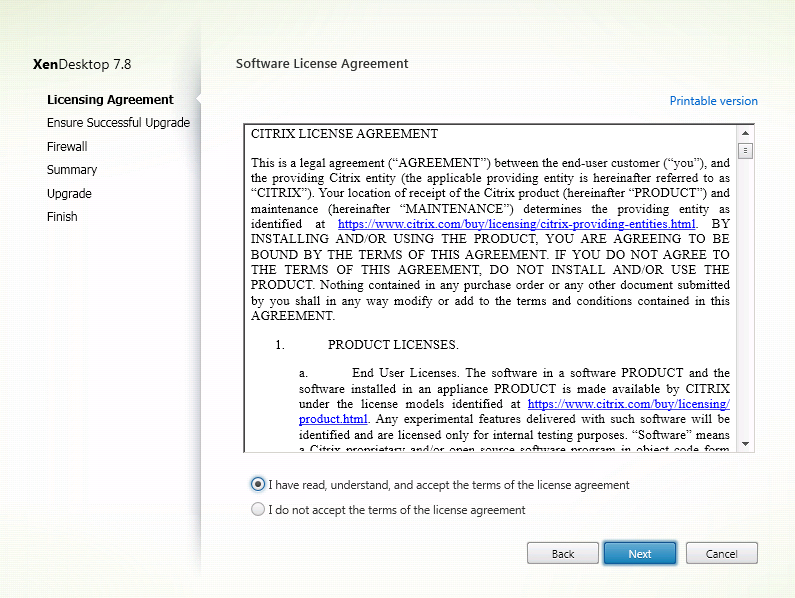 Select “I have read, Understand, and accept the terms of the license agreement”. Click Next. Select “I’m Ready to Continue.” Click Next. 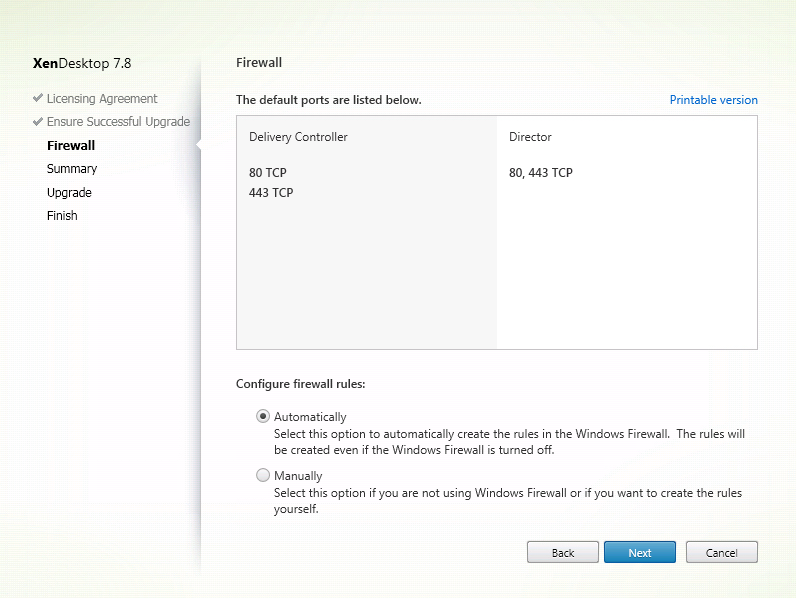 Select Automatically Configure Firewall Rules. Click Next. Verify the information on the Summary. Click Upgrade to start the process. 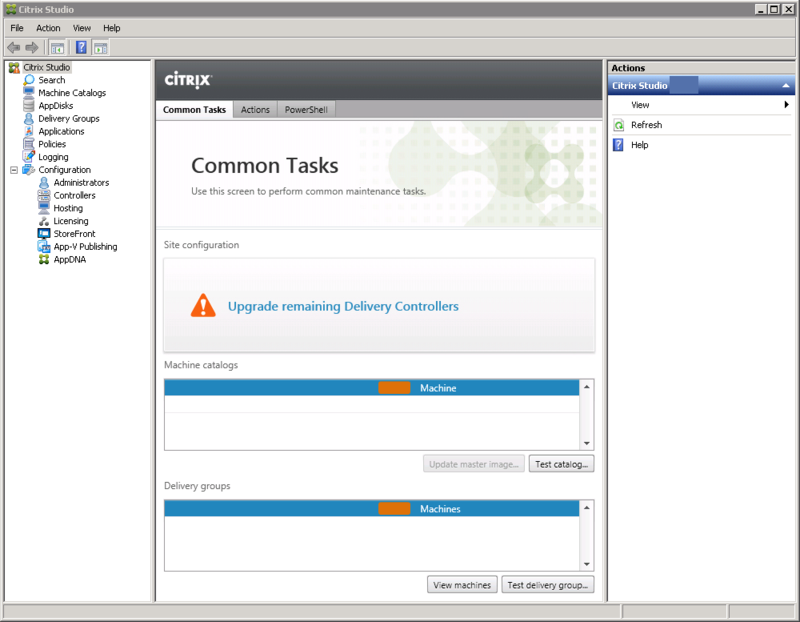 Click Close to Restart the Citrix Delivery Controller. 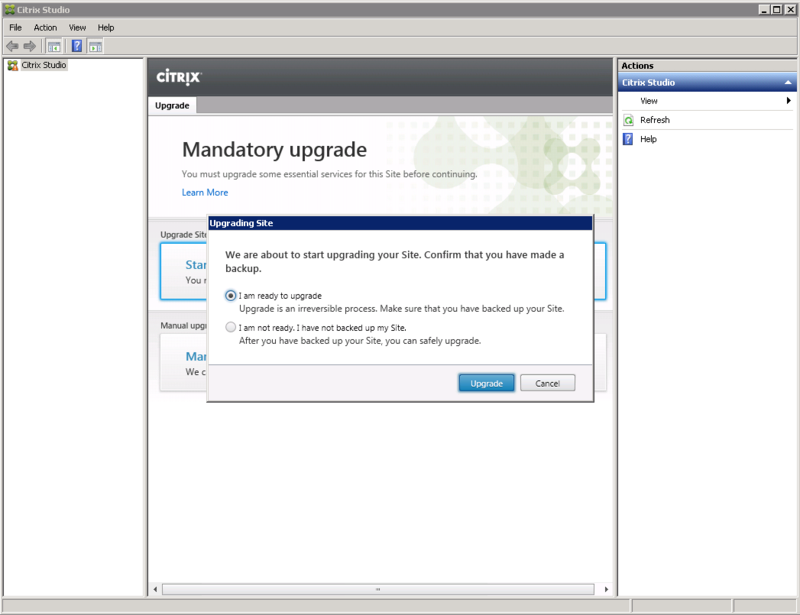 After the virtual machine finishes restarting. 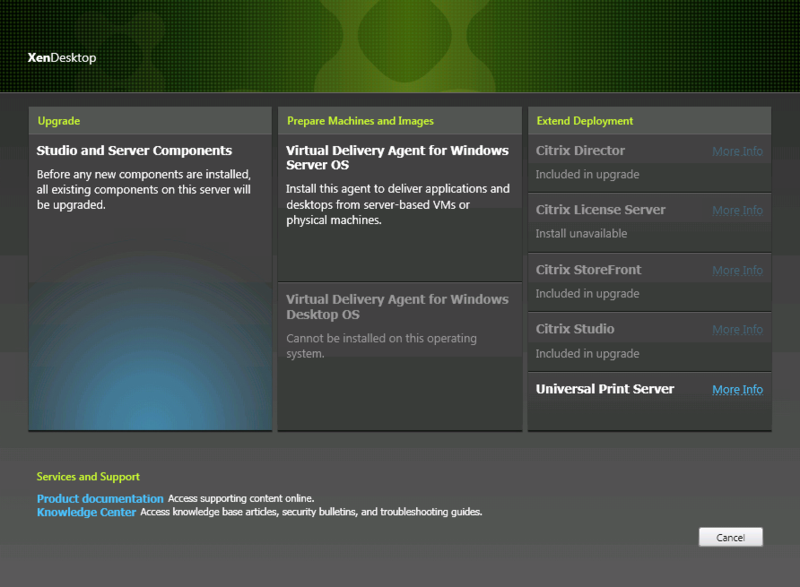 Login and wait for the Post installation process to finish. Select “Launch Studio” and Click Finish. 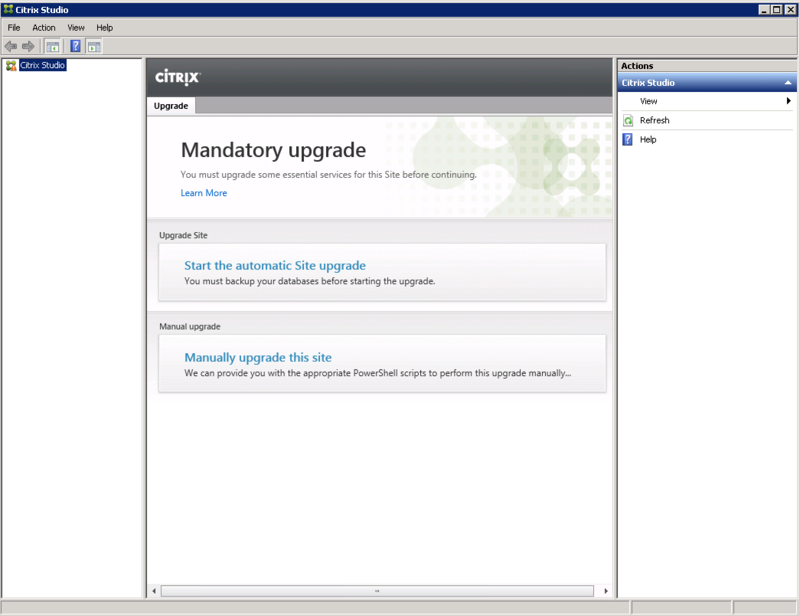 Click on Start the Automatic Site Upgrade. 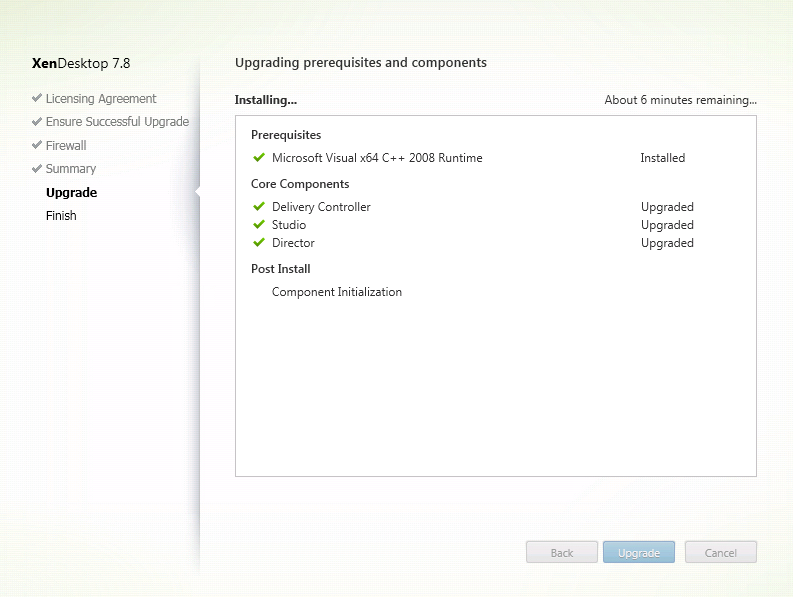 Select “I’m Ready to Upgrade” and Click Upgrade. 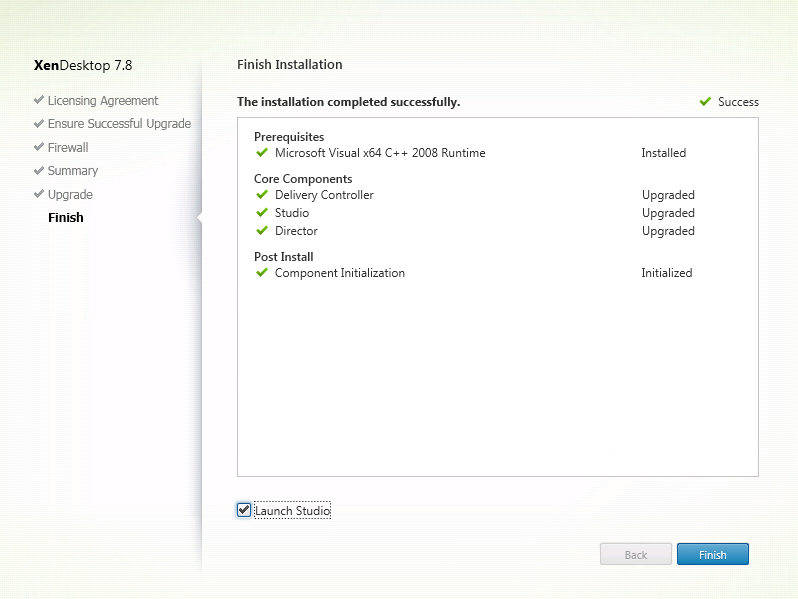 Your install should not have any failures, but if it does click on show report to view additional details. 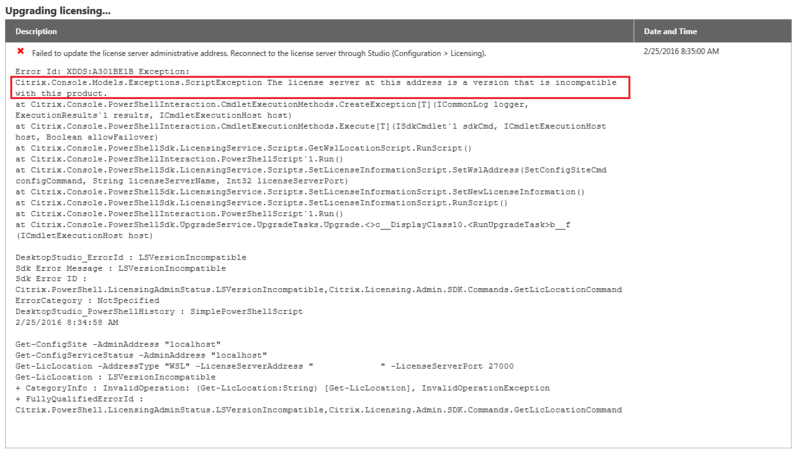 The one failure listed above is because our Citrix license server was not updated to Licensing Server version 11.13.1 build 16002. 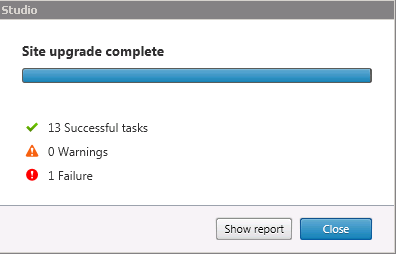 When your first delivery controller upgrade is completed successfully login to your other delivery controllers and start the upgrade.